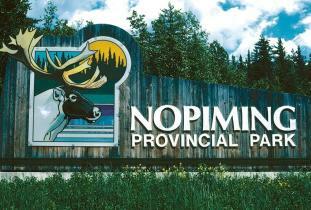 Named from an Anishinabe word meaning "entrance to the wilderness." 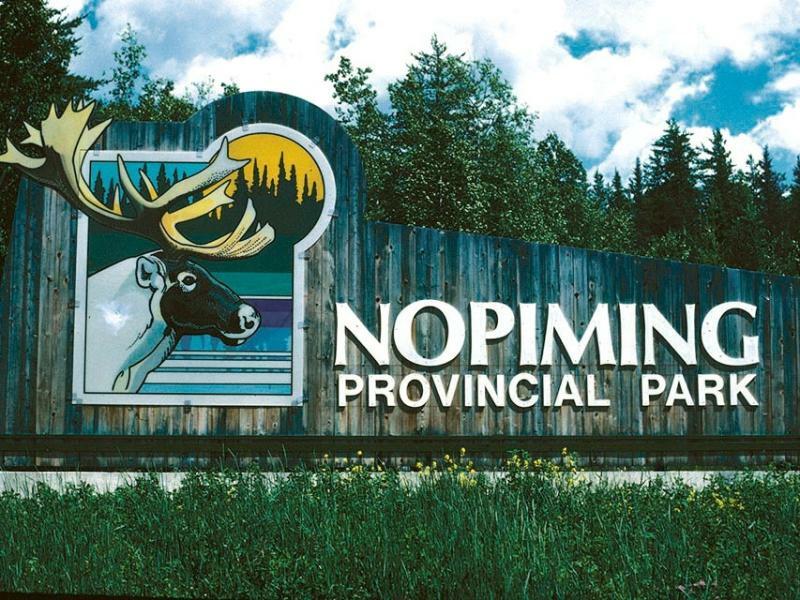 The park features towering granite outcrops, stands of black spruce and more than 700 lakes, several of them with fly-in or drive-in fishing lodges and outcamps. Its wildlife includes woodland caribou in season (seldom seen this far south). 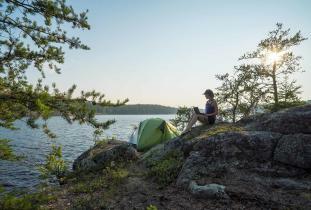 Campgrounds can be found at Beresford, Bird, Black lakes and Tulabi Falls.